FREE Reading Printables for Kids Rooms! Or your children’s nursery, school room or playroom! 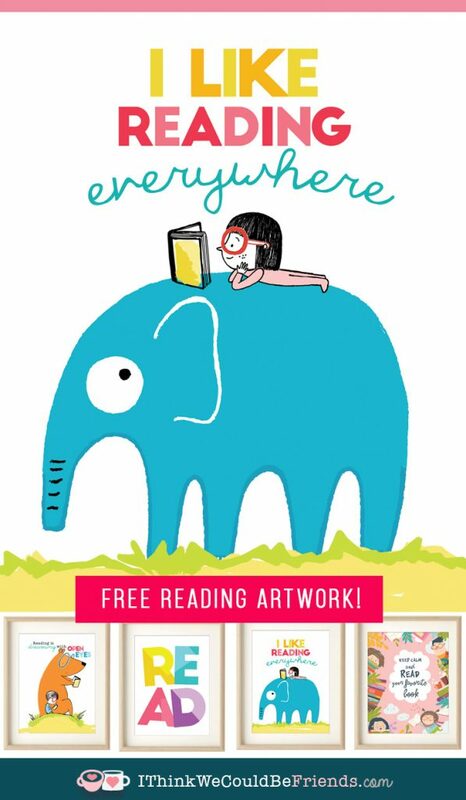 Looking for some fun reading artwork for you child’s bedroom, your classroom or homeschool room?? We had a ton of fun converting our playroom (that was more like a toy dumping room than a playroom!) into a “library.” Basically, we added a bookshelf and now keep all of their books there. But they think its fun to call it a library! So I made these free printables to go in their new space! Our kids are ages 3-8 so we’re trying to encourage MORE reading in our house. It’s nice to have a space now where they can keep all of their books and have a quiet place to read. As parents, we’re also trying to read to them more. NOT always easy, but at least we’re trying! 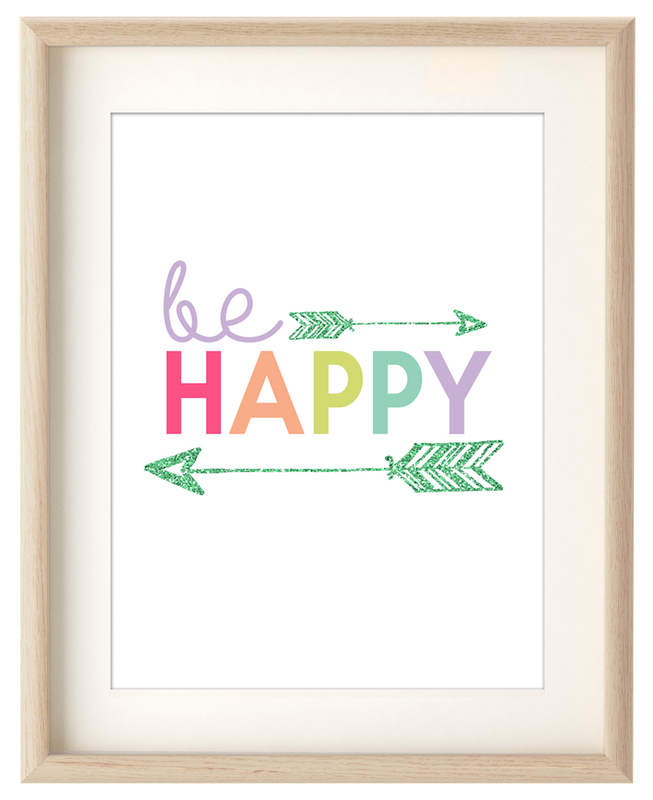 And, I already had these picture frames, so it was fun coming up with free printable artwork to put in them! These would also be PERFECT for a gallery wall! So just print, frame and hang in your child’s bedroom, nursery, playroom, classroom or homeschool room! 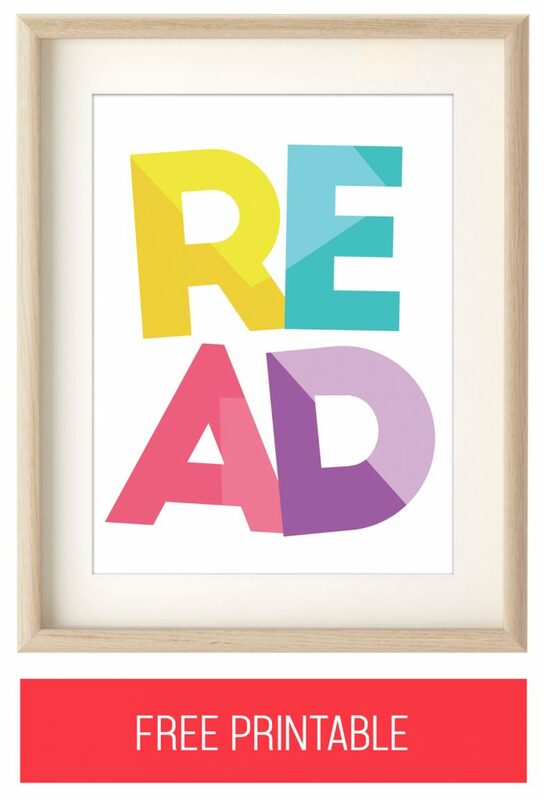 FREE PRINTABLE READING ARTWORK FOR BEDROOM, NURSERY OR PLAYROOM! 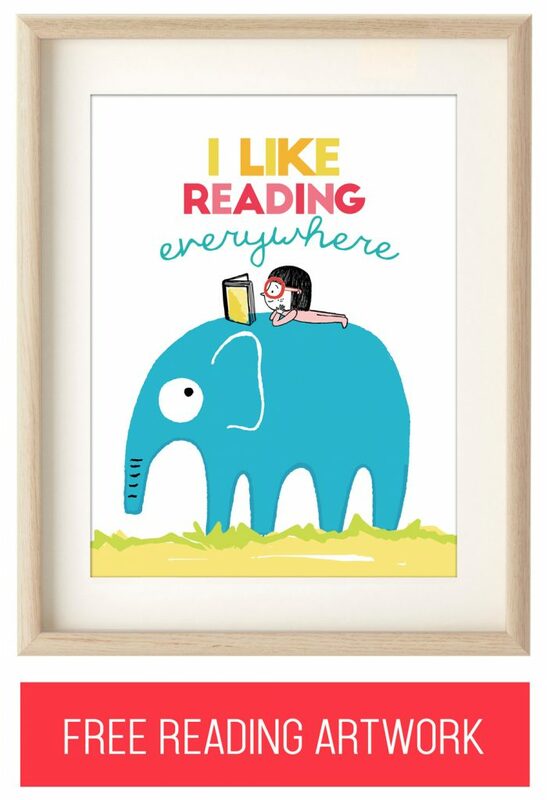 Every good reading space needs some fun artwork and pop of COLOR! The artwork below are all FREE printables!! To download the free printable, just click HERE or on the image below! A high resolution version should open in a new window. I designed this as an 8×10, but you could certainly print it slightly larger or a little smaller. 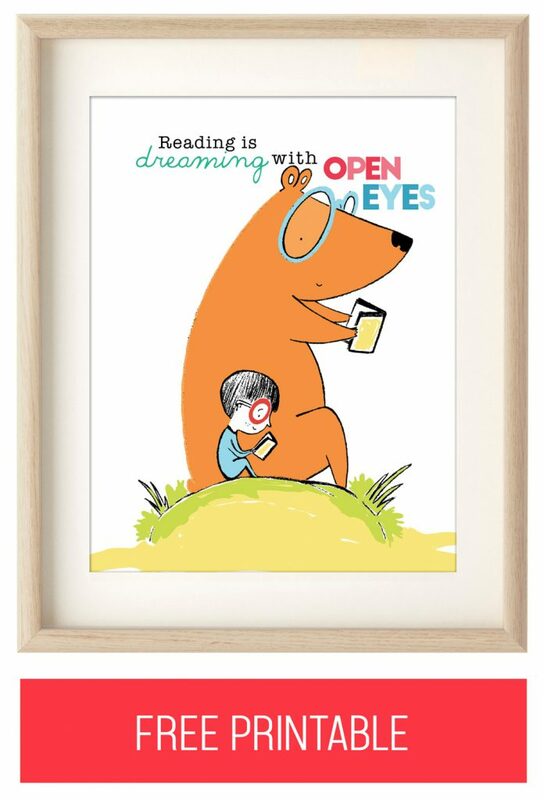 I’ve always LOVED this quote about reading: “Reading is Dreaming with Open Eyes.” So, the obvious next step was to create a free printable with it!! *ALSO, I created both BOY and GIRL versions of this one!! CLICK HERE to download or print the GIRL VERSION and CLICK HERE to print or save the BOY VERSION!! 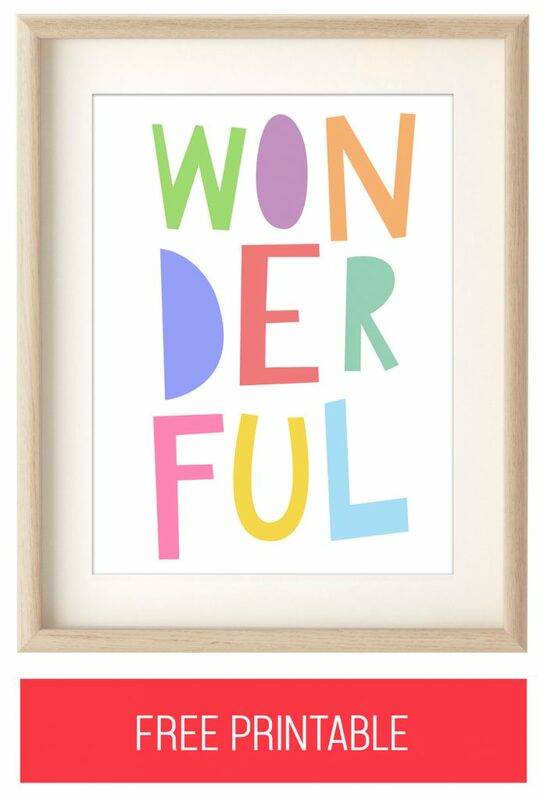 This is another fun, colorful printable for your child’s playroom or toy room! It would definitely work in a bedroom, too, especially if you are setting up a reading nook. The certainly don’t need a whole room dedicated to it! 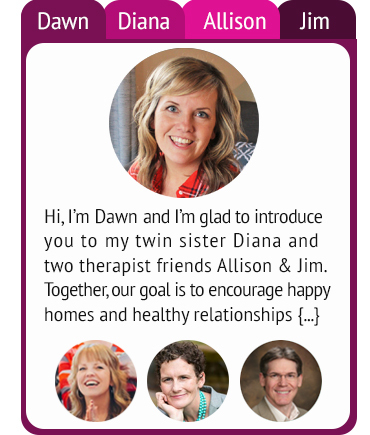 You can CLICK HERE to open the printable in a new window, or click on the link above! This made me smiler when I read the quote for the first time! Frankly, I think the KEEP CALM stuff has been a little over done, but this is fun (and true!) 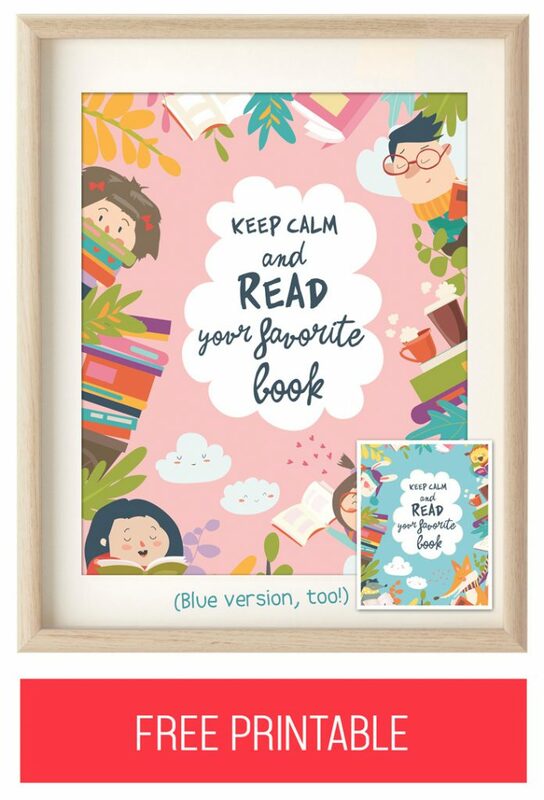 “Keep Calm and Read Your Favorite Book”…I wouldn’t mind having an adult version of this artwork! And yes of course, I made both a pink and blue version of this colorful quote artwork!! To download the Free Printable Pink Version, CLICK HERE. For the Blue Version, CLICK HERE! Ok, so these next ones aren’t specific to reading, but the colors sure went well with the first two so I decided to include them!! This is another cheery piece of free artwork! It was created by Hello, Wonderful and you can find the printable version RIGHT HERE! EVERY kid needs this quote!!! Well, all of us adults need this message, too! 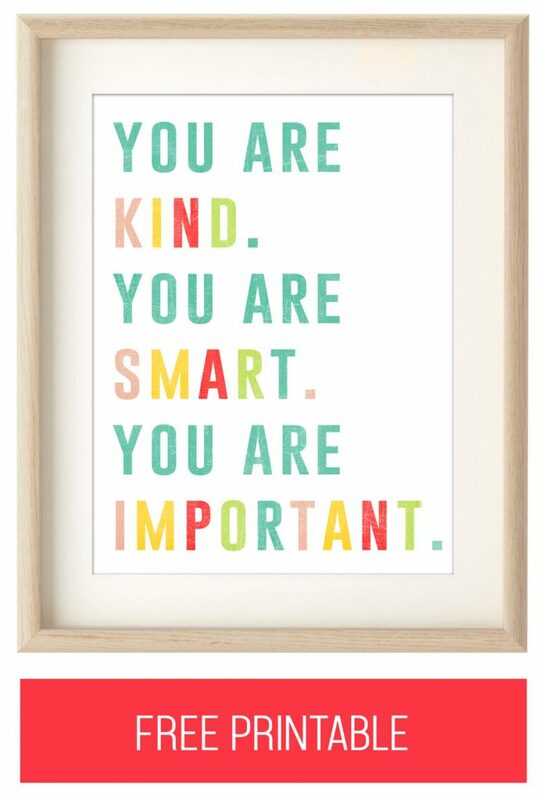 I think this would be a great one to hang ANYWHERE: bedroom, nursery, playroom, classroom or homeschool room! And its another favorite from The Girl Creative! CLICK HERE to print or save this colorful free printable. We hope you enjoy these FREE Printable Quotes and Artwork! Please let me know if you have any problems printing this artwork, just leave a comment below and I will get back to you right away!